Before we jump into this collection, I want to give you a quick heads-up about a couple of things that have changed since these videos were recorded. First of all, you'll see a ManageASite. com logo used in these videos. Since this collection was recorded, ManageASite and BuildAModule have merged, so all of the videos and downloadable material are right here on BuildAModule. 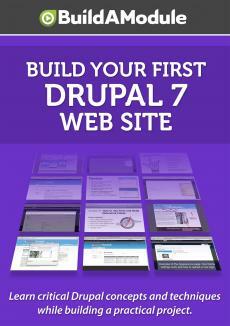 Next, while Drupal 7 is mostly the same as what you'll see in these videos, there have been a couple of changes. The disappearing logo bug issue we talk about early on has been fixed, but there's still some useful information in the video about it.